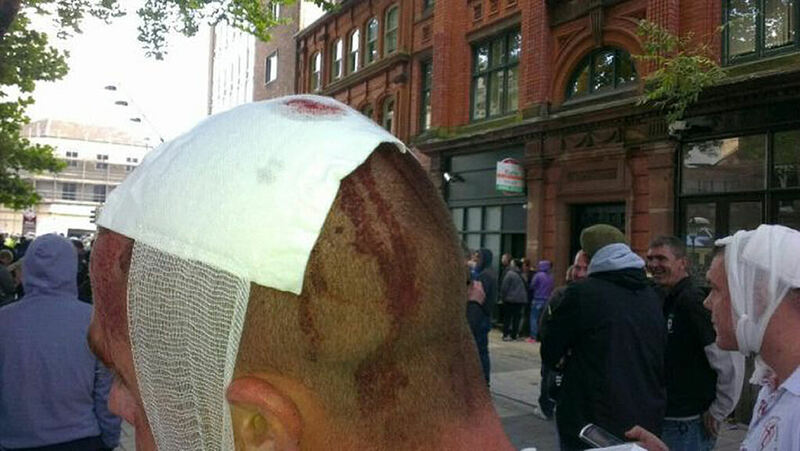 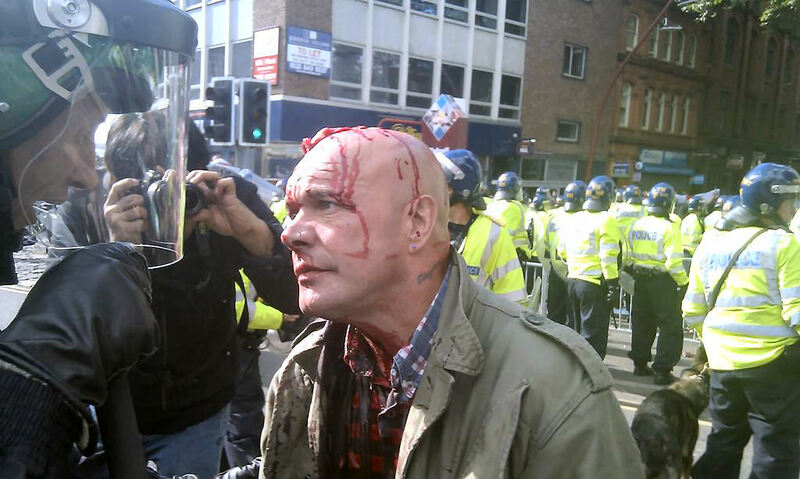 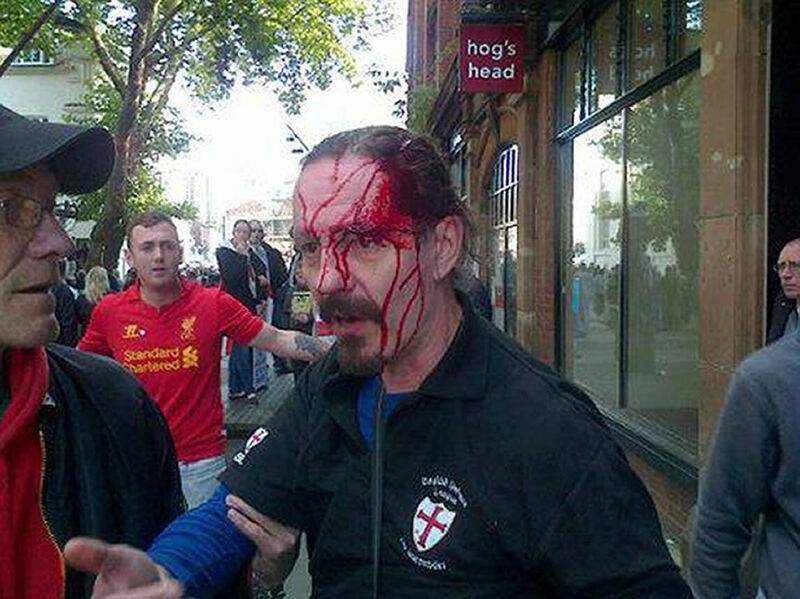 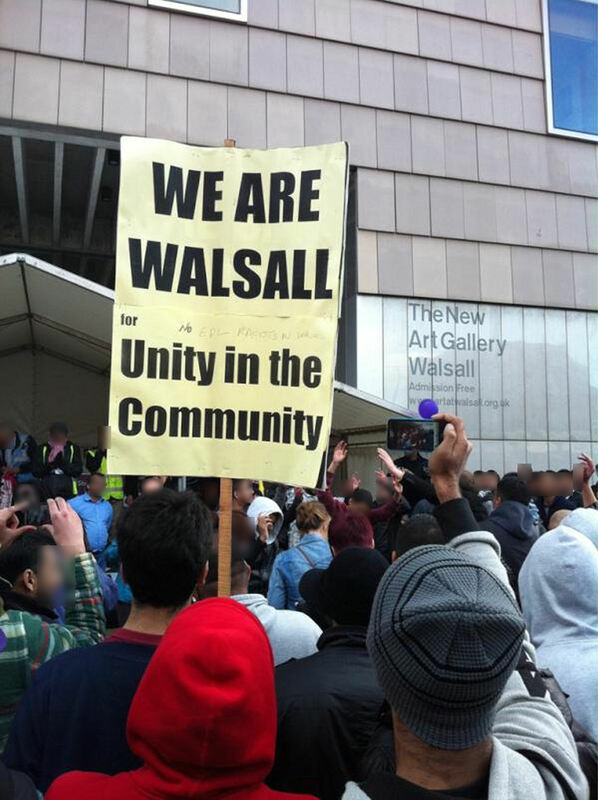 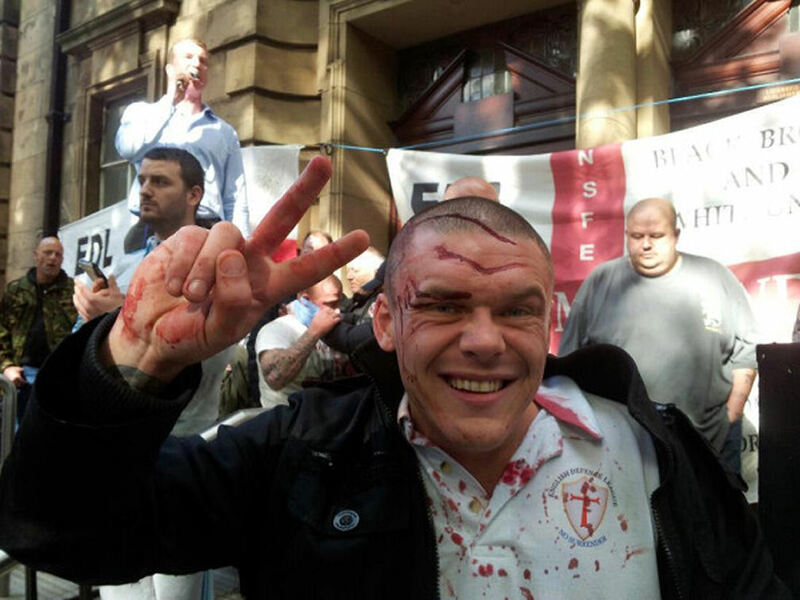 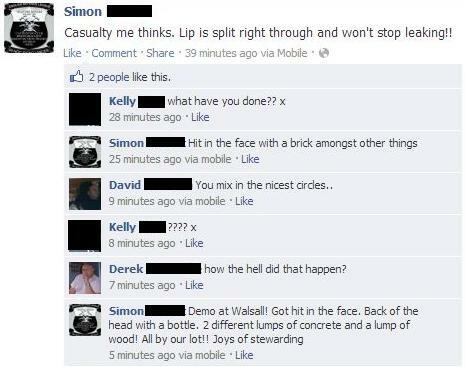 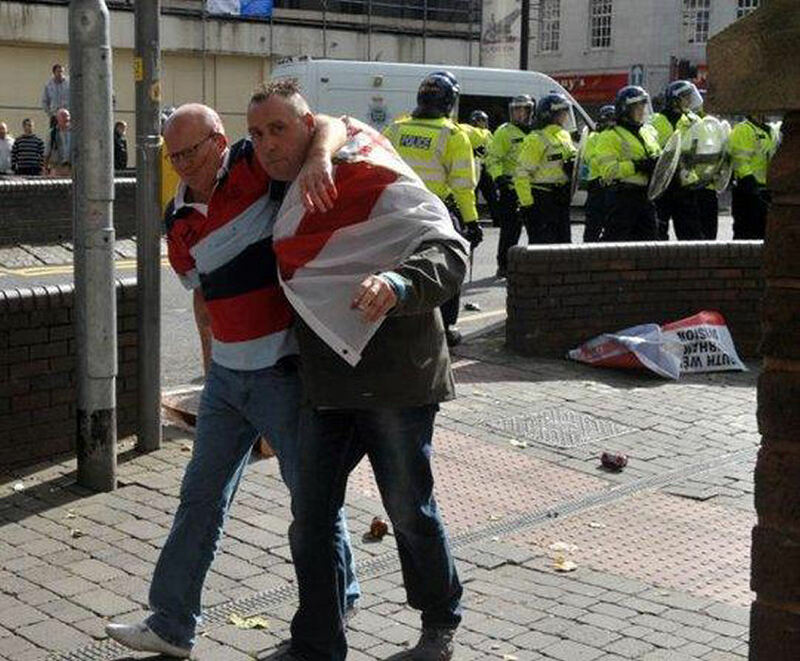 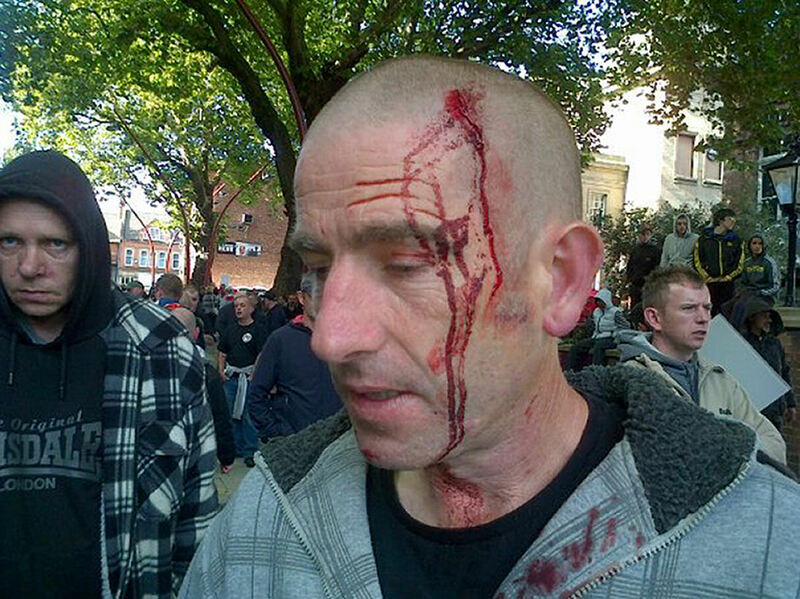 Dwindling numbers of racist boneheads belonging to the EDL (“Britain’s biggest street movement” according to themselves) turned out in Walsall in the west midlands today to shout racist abuse at the local Asian population and throw bricks and stuff at the cops. 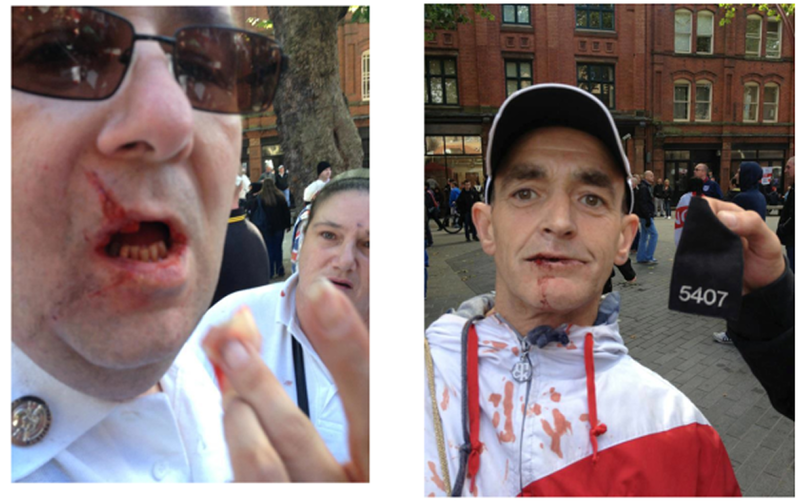 Many projectiles missed causing injuries to their own side. 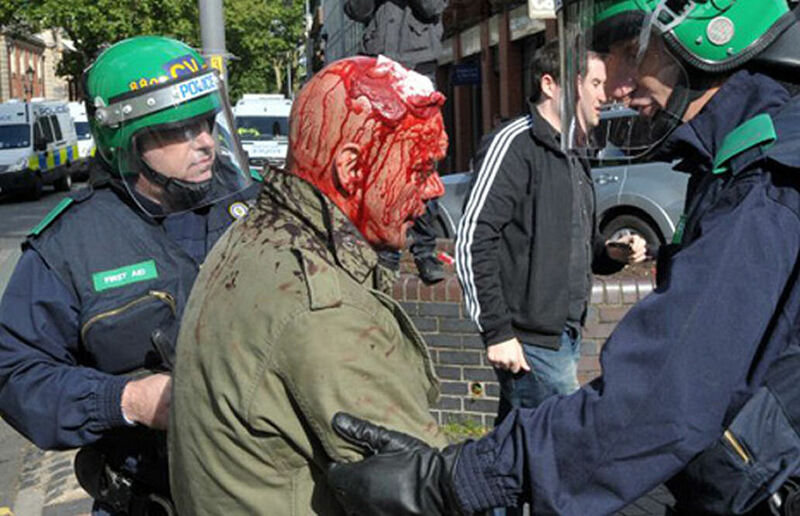 More injuries were incurred when the boneheads tried to fight their way through a line of cops to get at members of the local community.